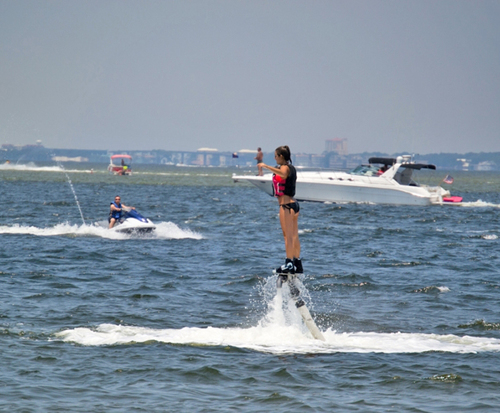 Flyboard Extreme Watersport in Destin, Florida is something that you, and your family will truly enjoy. Flyboarding is a new trend that is taking off anywhere a body of water can be found. 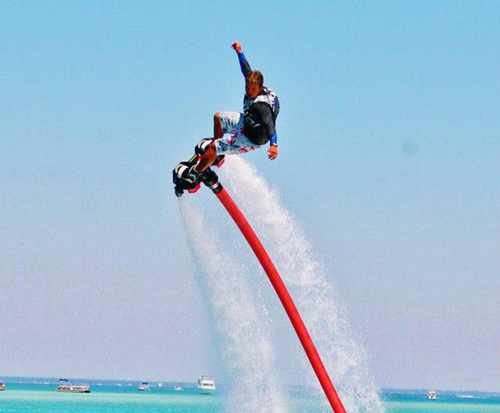 A Flyboard is essentially a water jet pack that uses a personal watercraft to supply propulsion to the board. You're able to propel yourself up to 49 feet in the air, and dive down to 8 feet under water. Flyboard Extreme Watersport in Destin, Florida has a number of different reasons why its the spot to be. The first, and most obvious reason, is for the Flyboarding. Spend hours on the water doing flips and having fun with your friends or family. Don't forget about the great location! Destin, Florida Is truly an amazing spot due to its Clear water and sandy beaches. Imagine yourself atop a wake board with two jets of water propelling you to new heights. It feels as though you're flying through the sky doing flips and spins. You're weightless gliding around smoothly with possibly the biggest smile you've ever had. 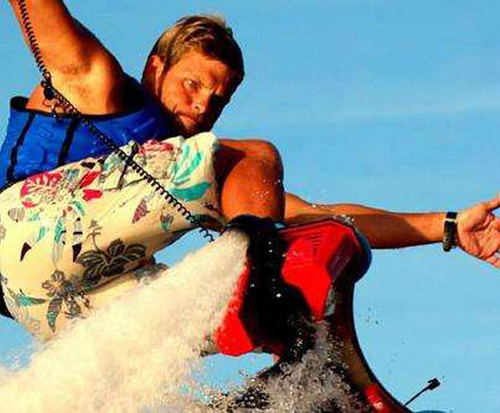 These are all things you can Expect when you step on a Flyboard. It's like being a kid all over again. What are you waiting for ? What it all boils down to in the end is do you want to have fun? If you and your friends and family are looking for a great activity to do year round, then Flyboarding is for you. Don't miss out on this opportunity to try something new and upcoming.